First cut a 6" x 9 1/2" piece of Blackberry bliss card stock and fold it in half for the base, two pieces of white one 4 1/2" x 5 3/4" for the middle layer and the other 4 1/4" x 5 1/2" for the front layer. 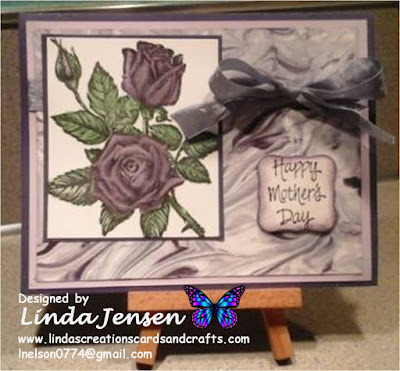 Next sponge the edges of the smaller piece of white card stock, stamp the flowers, then the script using a Stampin' Up! French Script background stamp. Then punch the scalloped oval with a Fiskars scalloped oval punch and cut the regular oval with a Spellbinders Classic Oval die. Next sponge the oval's edges, stamp the sentiment, attach the classic oval to the scalloped oval then to the card front with mini pop dots. Then cut out the butterfly with a Stampin' Up! 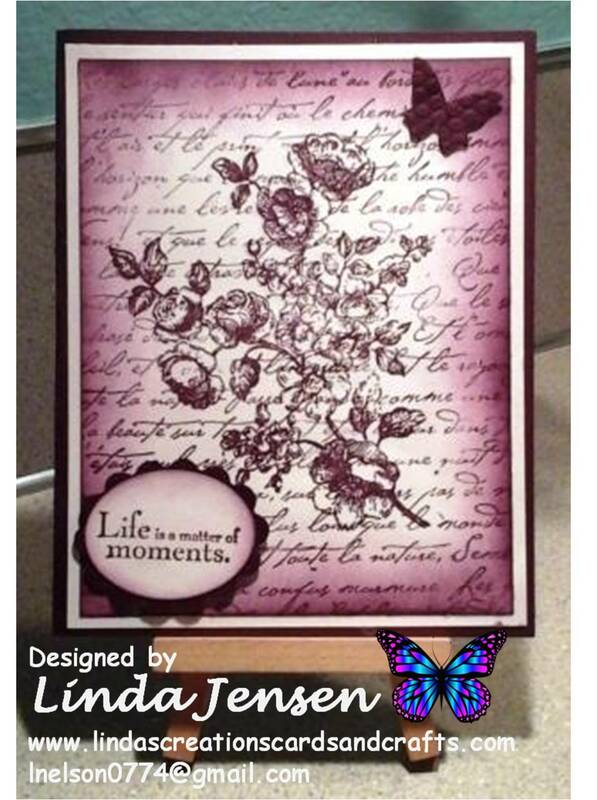 Beautiful Wings Embosslit, attach it with a mini pop dot and enjoy!